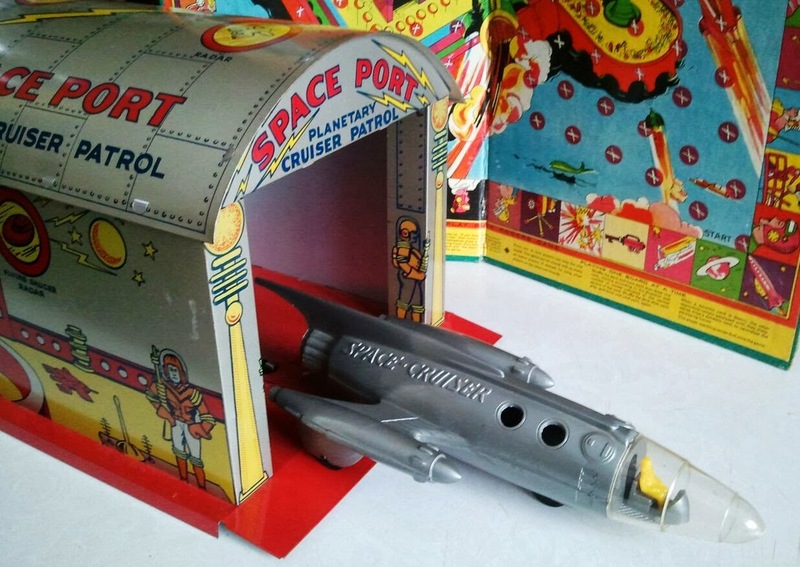 Found at a toy show recently in a booth full of vintage space stuff, this tin litho space port was made in the 1950s by T. Cohn (who also made tin litho dollhouses) and released by Pyro, who manufactured the spaceship housed inside. 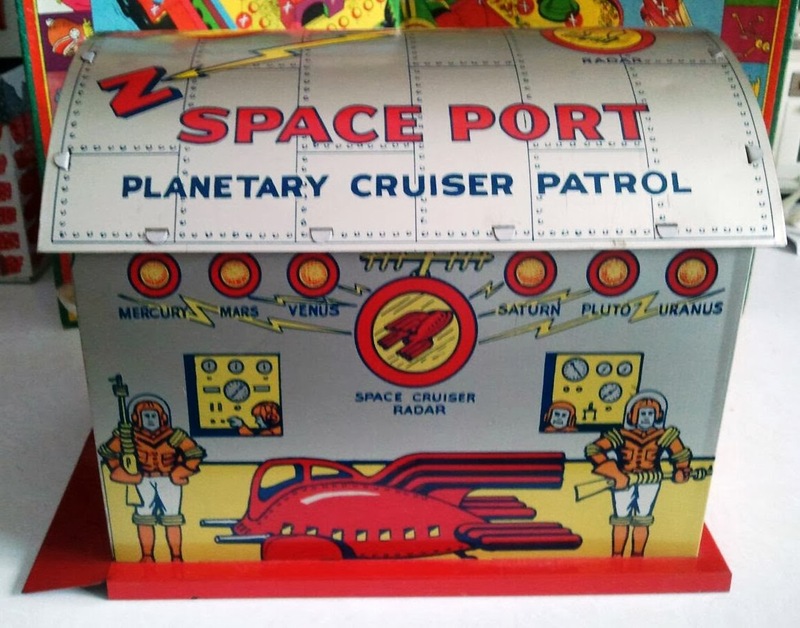 Toy Show space toy finds. 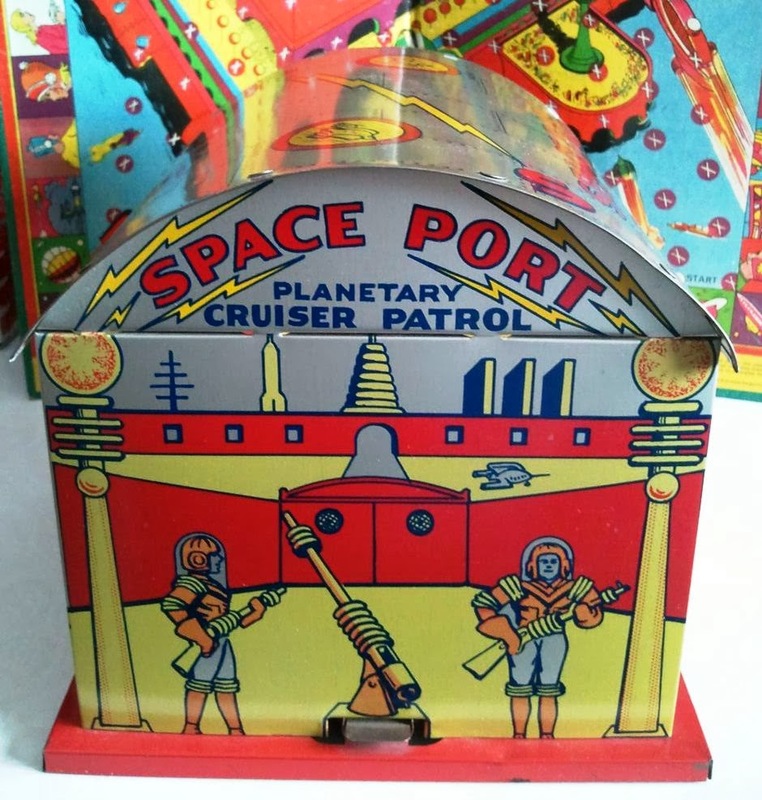 The spaceship can be launched via a lever at the back of the port. 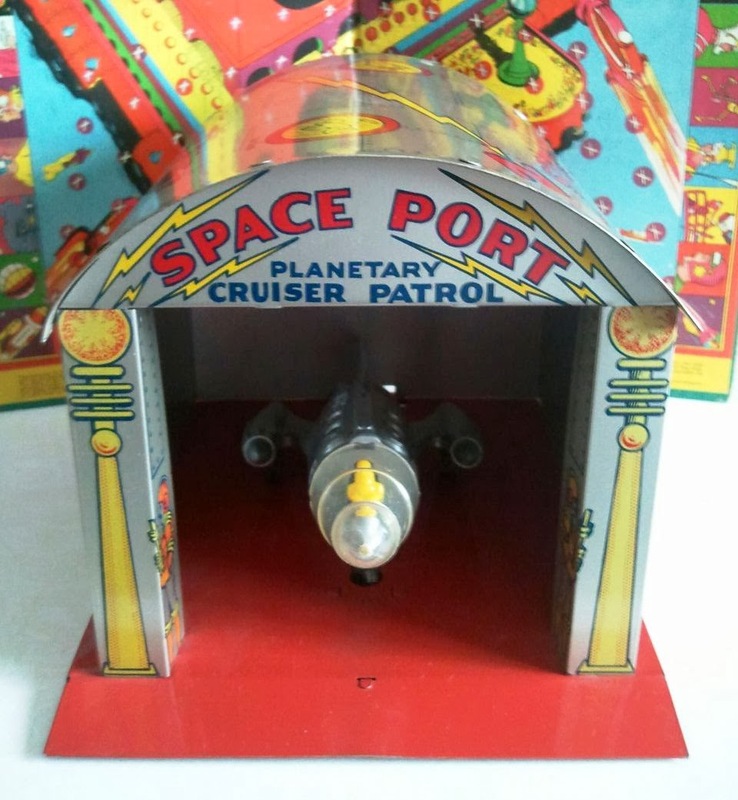 Unfortunately, launching tended to damage the fragile plastic craft, often snapping off its fins, which makes finding the port complete with an intact ship quite a stellar feat. 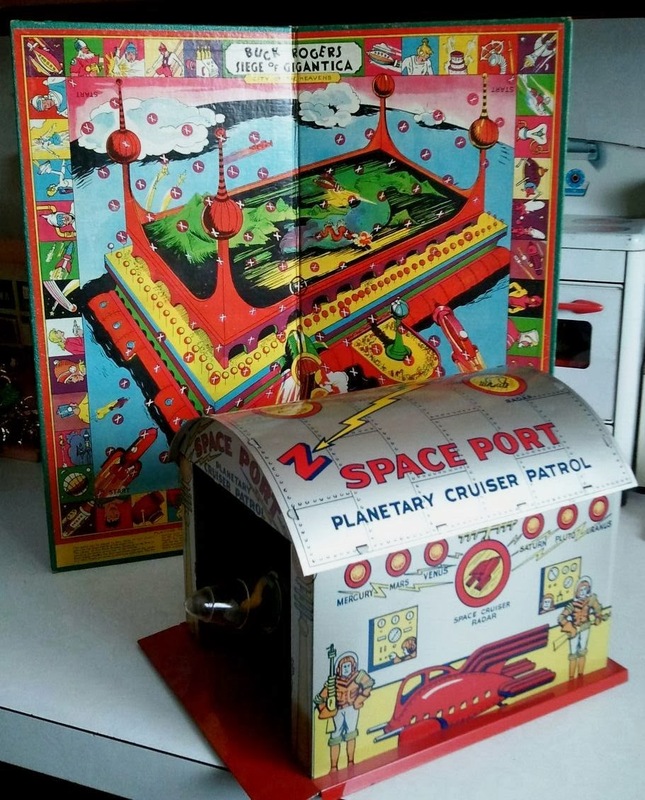 This one is in remarkable shape, and the whole playset is just an out-of-this-world-gorgeous toy. The following auction might be interesting for you . 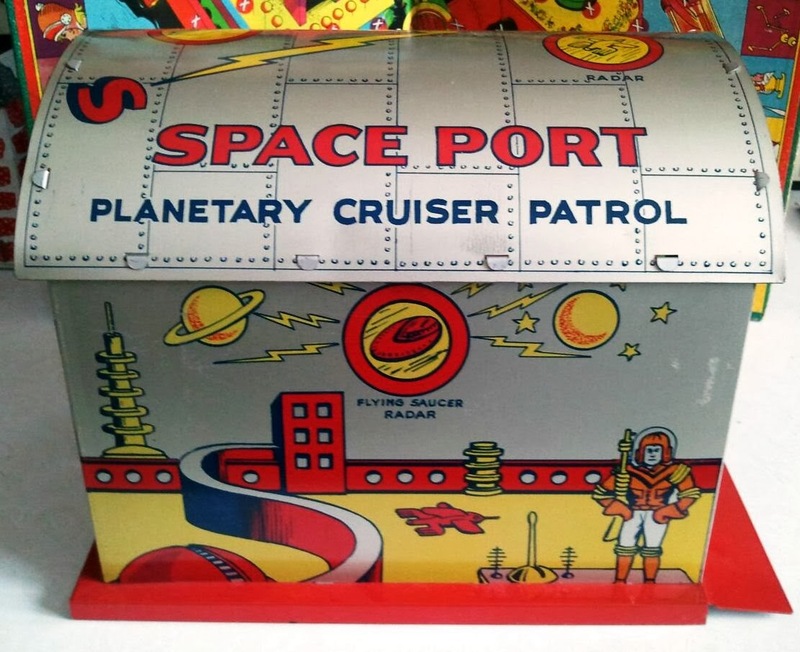 It has about 350 lots of vintage space toys mostly Japan.